Today is a very sad day for me and I don't feel like writing about beer. To say Steve Jobs "changed the world" is not hyperbole—it's a fact. I've long been an admirer and have closely followed Apple for many years. As I was reading coverage of the sad news, I read a quote that said something like "Steve Jobs knew exactly what we wanted before we knew we wanted it." indispensable parts of our lives, his impact on the world is undeniable. His story is something straight out of the movies. As an adopted child, he grows up to co-found a major corporation. The man he personally hires to run his company orchestrates a boardroom coup and banishes him. He returns 12 years later to resurrect it from the brink of insolvency and elevates it to become the most valuable corporation in the world. This is the stuff of legend. And he was only 56. 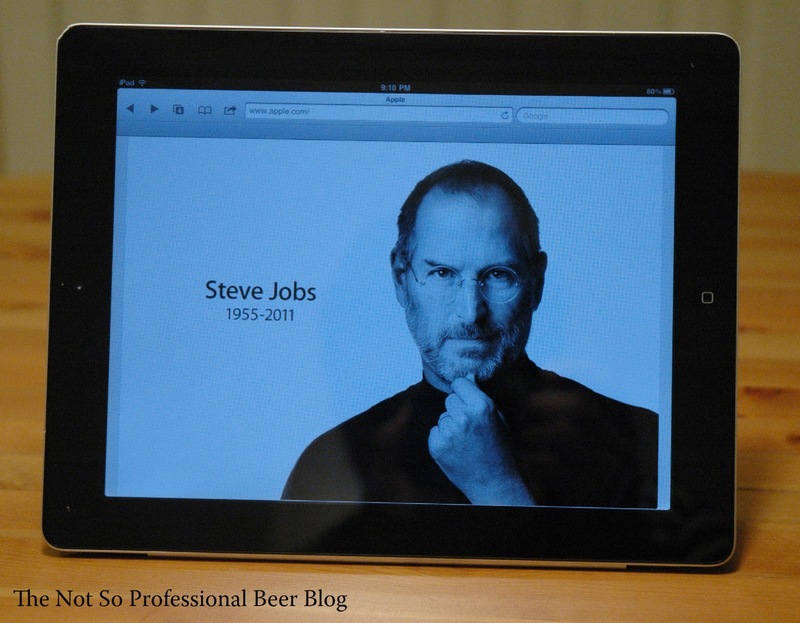 Rest in Peace, Steve Jobs, and my heartfelt condolences to your family and friends. Oddly enough, the way I first learned of the sad news is quite fitting—I saw a news alert on my iPhone. Nice brief homage to a massive figure in American business. What's often forgotten is how many misses Apple and Jobs had because they were either too early (Newton) or just misfires. One thing that distinguished Jobs was that he never let past failures or lack of overall market share keep him from taking risks, maintaining focus, and leading an industry. Thank you Greg. You make a great point. At the end of the day, the failures don't really matter, do they? In Jobs' case, they pale in comparison to the successes.